CAMERA QUARK is the first Hydrogen Alpha Filter for your SLR Camera! This new, All-In-One design marries high quality components of a telecentric barlow, adapters, snouts and Daystar hydrogen alpha filter into one simple camera lens assembly. Through design efficiency and optimization, now users can enjoy the known high quality optics of DayStar* on ordinary telephoto camera lenses. 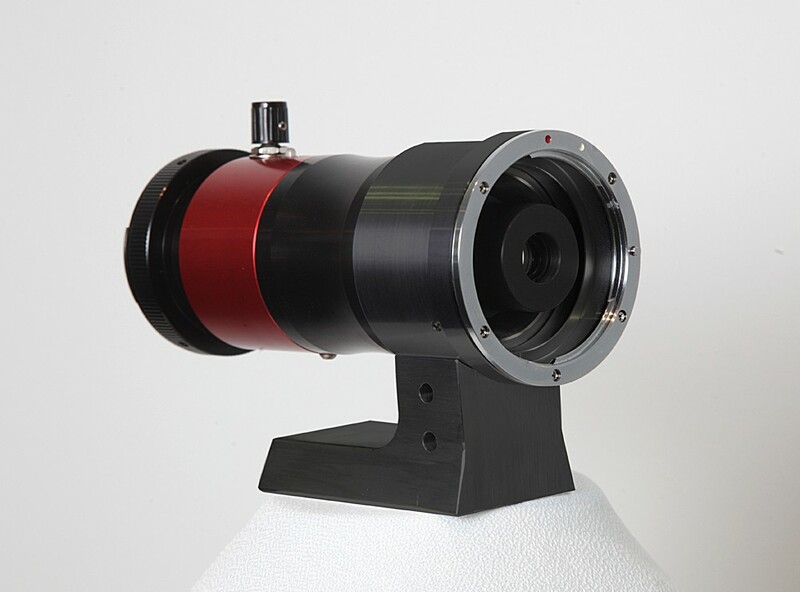 Camera Quark is available in a choice of "prominence" or "chromosphere"
CAMERA QUARK: Turns your SLR lens into a Hydrogen Alpha Telescope! PROMINENCE MODEL - For NIKON lenses. Turns ordinary Nikon style SLR lenses into a Hydrogen Alpha Solar Telescope. Owners can view using their SLR or DSLR camera or an eyepiece. Camera QUARK accepts all of the universal QUARK accessories so it may be used as a telescope with an eyepiece. Plus! Use zoom features of your camera lens to explore wide field to high power views without changing set-up or telescope configuration. -The patent pending QUARK* contains a custom Daystar Instruments 4.2X telecentric barlow teleconverter lens fully optimized in coatings and optical design specifically for the Hydrogen Alpha wavelength. This highly specialized telecentric lens offers superior field flatness.